William Smith and his wife Agnes (Ada) McSymon Anderson were married in 1905 and had four children. All the children were born at Blackhall. 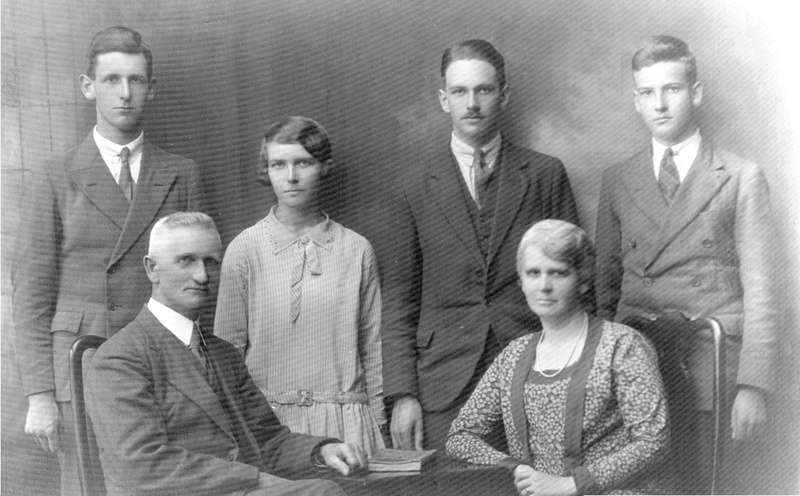 This formal photograph of the Smith family was taken around 1919. The following formal photograph was taken of the same family around 1926. Following is a brief summary about the lives of each of William Smith’s children. Nancy Roy Smith was the eldest in the family and the only girl. As a child with three younger brothers, she used to say she wanted to have lots of children – but only girls. (She didn’t quite succeed.) After attending the very small local school, Nancy was sent for several years to a Quaker school in Mountmellick, County Laois (formerly Queen’s County). Then, at about fourteen years old, she went to Alexandra School and afterwards to Alexandra College in Dublin. Following her college years, she took some courses at the arts school in Dublin and then returned home to Blackhall. In 1933, Nancy married John Baird McNulty, a solicitor from County Donegal. Nancy and Jack had six children. 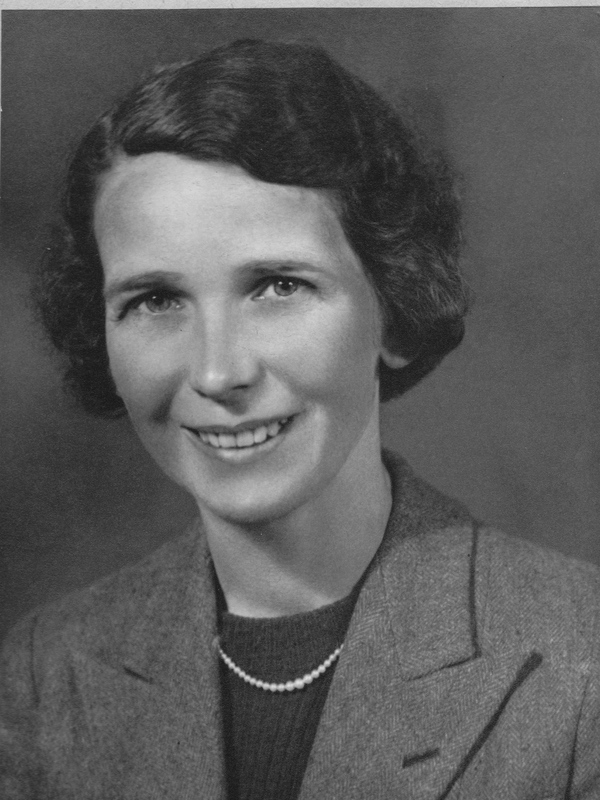 Nancy and her family lived in Donegal for many years, first in Manorcunningham and then in Raphoe. In 1980, Nancy and Jack moved to Helen’s Bay, County Down, after Jack had retired from his law practice. Jack died in 1985 while Nancy lived until she was 96 years old and died in 2002. Both are buried in the churchyard of Raphoe Presbyterian Church. 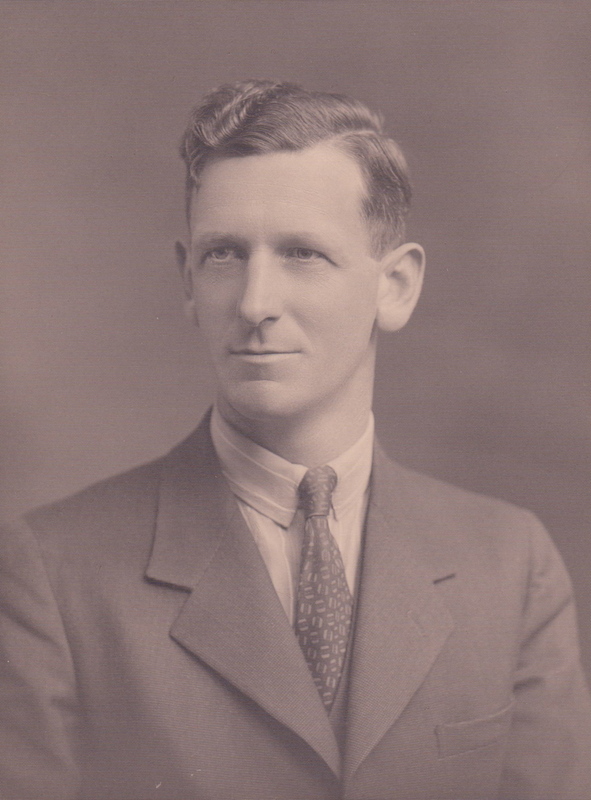 Lancelot Upton Smith was the eldest son. Although he could have chosen to be the farmer in the family, Lancelot had no great interest in it, preferring instead to attend Trinity College, Dublin, where he studied law and, later on, theology. As a boy, Lancelot spent a year or two living with his grandparents in Dumbarton, attending school and participating in the Boys’ Brigade. After he returned to Ireland, Lancelot went to Mountjoy School as a boarder and then began his legal training. He was apprenticed to a solicitor – that was then the way of qualifying for a legal career – and also attended law courses at Trinity College. After practicing law for a few years in Dublin, Lancelot decided to enter the church and undertook theological studies at Trinity College. He hesitated between joining the Presbyterian Church and the Anglican Church and eventually decided to join the latter. He was ordained in 1940 and began his clerical career in England during the Second World War. From 1944, he spent several years as a padre in the British Army before returning to being a clergyman in England, first near Birmingham then in rural Worcestershire. 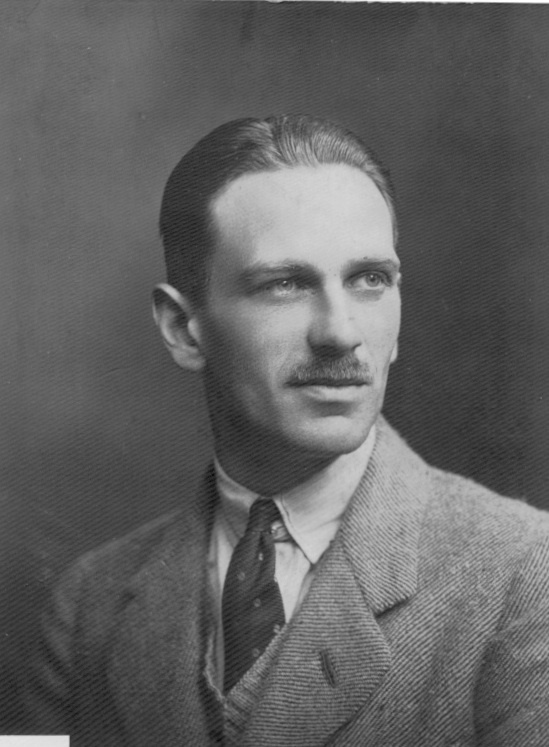 In 1934, Lancelot married Olive De Winter Wayland; they had two children. Lancelot died in 1980 and Olive died in 2001. Both are buried in Stockton-on-Teme, Worcestershire. William Anderson Smith (called Willie) was the second son and third child in the family. After going to the local school, Willie attended Dungannon Royal School in County Tyrone. After school he returned to Blackhall with the intention of becoming a farmer. Willie took over Blackhall and the Smith, Griffin firm from his father around 1942. Willie was involved in many business ventures as well as the farms he managed with the help of a steward. Unfortunately, one business venture proved to be a failure and Willie was obliged to sell Blackhall and his other assets in the mid-1960s. In 1941, Willie married Theodora Georgina (Theo) Wills; they had four children. Willie died in 1974 and Theo died in 1988; both are buried in Dunshaughlin Church, County Meath. Thomas Ian Smith (known as Ian) was the youngest child. He too attended Dungannon Royal School. Later he studied at Trinity College Dublin, graduating with a degree in French. He taught in schools for a few years then went to England and worked in factories in the Midlands during the Second World War. 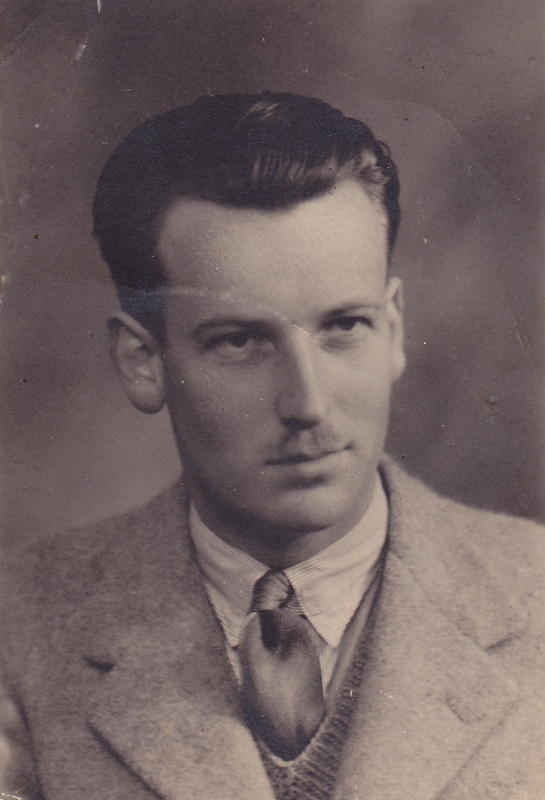 After a few years back in Ireland after the War, Ian returned to England and worked in engineering companies in the Leicester area for the rest of his life. He married Annie Florence (known as Nancy) Hogg in 1949 and they had one child. Ian died in Leicester in 1975 and Nancy in 1979.